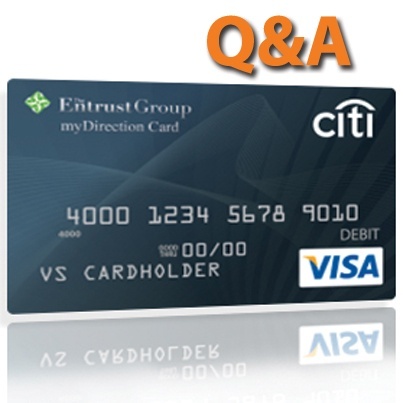 This month, in another addition of Q&A posed by real new and current investors, we’ve consulted with our resident expert on The Entrust Group myDirection Visa® Card. This is an innovative, unique service Entrust provides to clients in conjunction with a self-directed retirement account. TheEntrust Group myDirection Visa® Card allows investors the ease of managing investments via an online portal, eliminating paperwork and additional fees as well as saving time for transactions. Never heard of a service like this before? That’s because there’s nothing else that allows the ease of online management so we understand that there will be questions about how it works. Here we go. A: You can make a request to add funds to your card by filling out The Entrust Group myDirection Visa® Prepaid Card Maintenance Form which can be found in the myDirect Portal or in Forms on The Entrust Group website. It takes up to 2 business days for the funds to be available on your card after the form is processed. Q: Do I need to certify transactions when I return an item and get credit back to my card? A: Yes, all types of transactions must be certified in the myDirection Portal for proper record keeping. Q: How do I certify a transaction? A: All transactions must be certified by the card holder online in the myDirection Portal within 30 days of the transaction date or the transaction will be considered an IRS distribution. To learn how to certify a transaction, please log onto the Portal, go to the Account Summary page and click on “Click here to learn how to certify” under Transaction Details. A brief step-by-step instruction sheet will come up. You do not need to send any transaction documentation to Entrust – make sure to retain it all for your records. 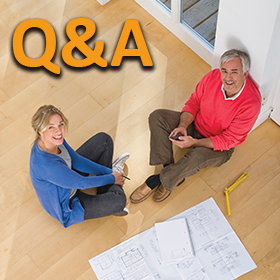 Q: When I certify a new transaction and need to state if it’s a “New Asset,” do I select “Yes” or “No”? The Entrust Group welcomes questions from our current investors who have a specific inquiry about their card or new investors who are interested in signing up for a self-directed IRA with the additional service. The card works just like any Debit card; once you have transferred funds from your IRA to the card you are able to make withdrawals from the ATM or use the “credit” function requiring a signature at point of purchase to pay for expenses related to your asset. Get in touch with us today for more information on our exclusive offer, there’s nothing else like it out there for online retirement investment management. Or leave your comments below so that others may benefit from the answers.